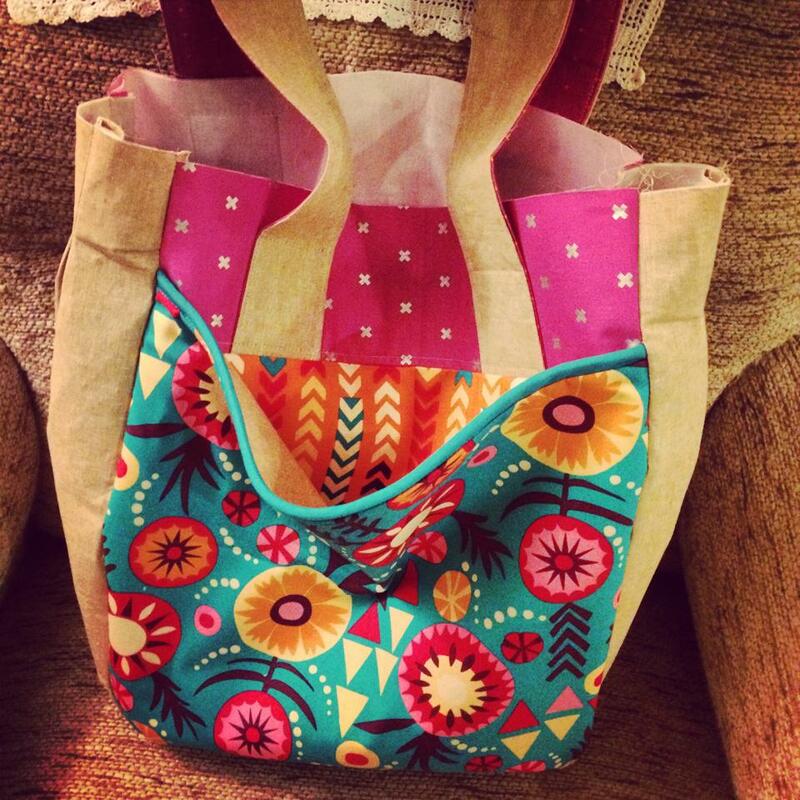 At the last LAMQG meeting at Sew Modern, I bought the Super Tote pattern from Noodlehead. I’ve been wanting a new bag for some time, so this was the perfect opportunity! Before I talk about my experience making this, I thought I’d say a couple things. There are benefits to buying the hard pattern vs. the PDF and vice-versa. Benefits from the pre printed hard pattern are that you don’t have to cut and tape the pieces together. Benefits of the PDF pattern are that you can reprint as often as you need, and even size up or down (thanks for the tip Elisabeth!) I bought the Hard Copy version, but think I may actually buy the PDF one in addition. She writes the patterns beautifully and they are pretty easy to understand, I would definitely recommend making this. I wasn’t able to find the Pellon SF808, I used their Decor Bond instead. It was truly my first time using any interfacing, so using a thick one was a bit tricky but I’m so happy with this bag! It goes together very fast, it’s just the cutting that seems to take ages. I kept forgetting to cut linings for this, and interfacing for that. I really want to make another one! Here’s how mine turned out. Posted in Fabric, In progress, Non-QuiltsTagged modern, new mexico, nonquilts, orange, organization, robert kaufman, sew modern, southwestern, TravelBookmark the permalink. Color Wheel Moxie Quilt Complete!